Making machines and systems future-proof and tailor-made to applications requires time and experience and is an intensive engineering process. In order to shorten the development time and to launch the functionally-reliable machine on the market as quickly as possible, Baumüller works with simulations, such as MATLAB/Simulink. At the trade fair stand, Baumüller will use the example of automatization solutions for servo pumps and servo presses to show how simulation can be used to design and test the optimal drive and automatization components for different machines in the shortest of time. The data from these models is provided to the mechanical engineer in the project planning phase for the new machine. Alternatively, Baumüller takes care of the entire machine design for its customers, such as for presses, based on the model data from the mechanical engineer. Once the machine is then planned specifically for the customer, it must undergo the practical test. 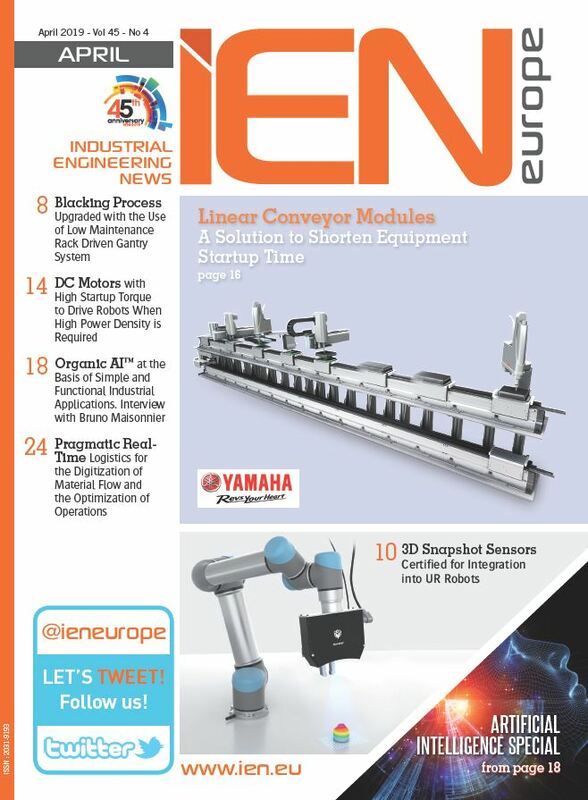 The networking of man, machine or sensors is increasing in the industrial sector. The innovations promote a highly efficient, intelligent and flexible production. However, the thread of cyber criminality is rising with this trend. To protect industrial security, Baumüller offers a secure solution for the remote maintenance of machines and systems with Ubiquity: software products in the field of industrial remote maintenance, which has been certified according to IEC 62443-3-3 and meets the requirements of the basic protection catalog of the German Federal Office for Information Security (BSI). 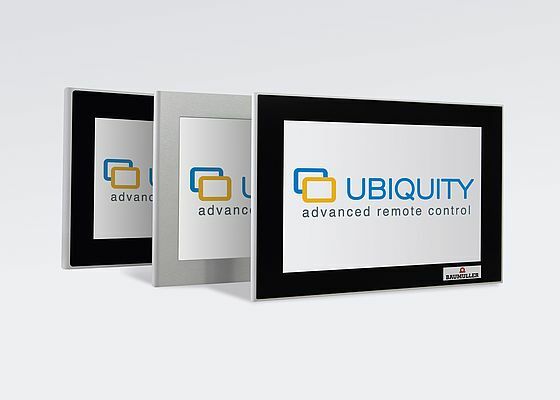 The Ubiquity runtime environment is pre-installed in all Windows-based HMIs from Baumüller and can be connected with a domain. With Ubiquity, Baumüller is providing its customers with an ability to communicate for process control and an option for easy and secure remote maintenance. The state of machines can thus be monitored worldwide and quickly responded to in a targeted manner if necessary. This capability of quick and accurate analysis, diagnostics, recommendations for action and troubleshooting saves time and money. Ubiquity thus increases the productivity and efficiency of machines. The use of Ubiquity can be seen live at the Baumüller trade fair stand at SPS IPC Drives 2017. A machine on the Baumüller premises in Nuremberg can be operated via secure remote maintenance from the trade fair stand. Visitors will have full access to the machine that is several kilometers away. The machine operation can also be followed live via an implemented IP camera. 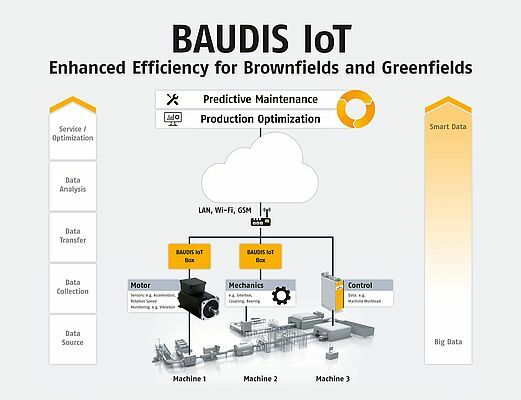 An innovation in the field of service is BAUDIS IoT, a system for the process optimization and for the predictive maintenance of existing and new machines. This is an IoT-capable diagnostic and communication system that allows for a simple networking of machines and systems via the Internet and the intelligent analysis of data. BAUDIS IoT is the consistent enhancement of the BAUDIS diagnostic system developed by Baumüller, which has successfully been in use for more than 20 years. The networked version benefits from the long-standing field expertise of a successful system. The system can be used independently of the manufacturer of the automation components and the sensors and therefore can easily be retrofitted and upgraded. It is therefore equally suitable for greenfield and brownfield plants, i.e. for the digitization of new and existing production facilities.